The Content Overview screen is a companion to the Calendar screen. 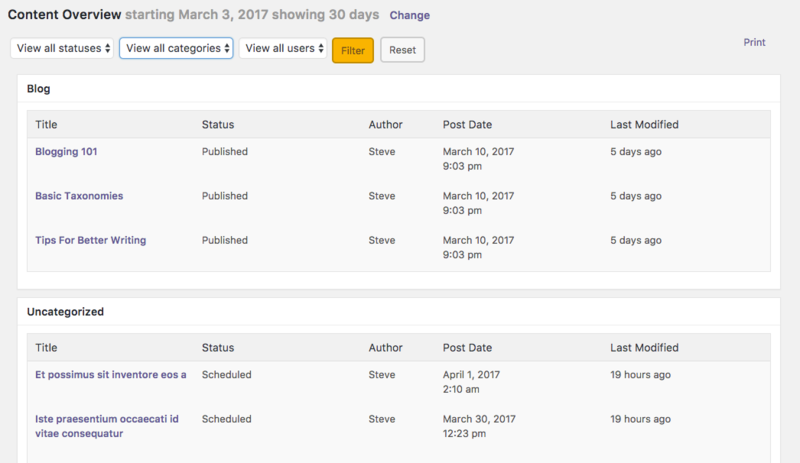 Whereas the Calendar allows you to see content organized by dates, Content Overview allows you to drill down and see content organized by status, categories, or users. In the top-right corner is a “Print” button. Click this link to get a printable overview of all your planned content.